In today’s article, we are going to talk about the Italian brand from Bologna nestled in the hilly area of San Benedetto Val di Sambro and called Cosmoderma. The Cosmoderma brand was created in 1979 by Dr. Vincenzo Speghini who wanted to create a universal range of skincare products that would benefit any type of the customer. Cosmoderma creates different types of products with Italian touch: Intelligent Care System for body and anti-wrinkle products, Vegetal Cell products enriched with plant cells, Recettario Verde – organic product line, and Hyaluro-Perfume – perfume products that take care of the skin. 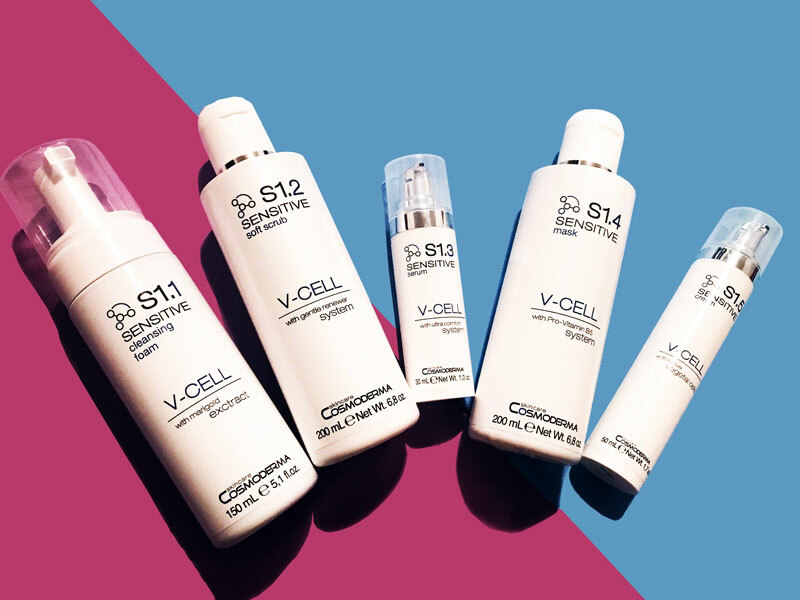 For our test and review, we picked four products from V-Cell line: V-CELL Sensitive – S1.1 Cleansing Foam, V-CELL Sensitive – S1.2 Soft Scrub, V-CELL Sensitive – S1.3 Serum, V-CELL Sensitive – S1.4 Mask, V-CELL Sensitive – S1.5 Cream. The V-CELL Sensitive Line specializes in the products that provide health, softness, and elasticity to the skin taking tenderness to the next level. The natural environment can irritate and damage the skin whether it’s cold or hot weather, the V-CELL Sensitive products are created to take care of your skin and protect it from negative effects. 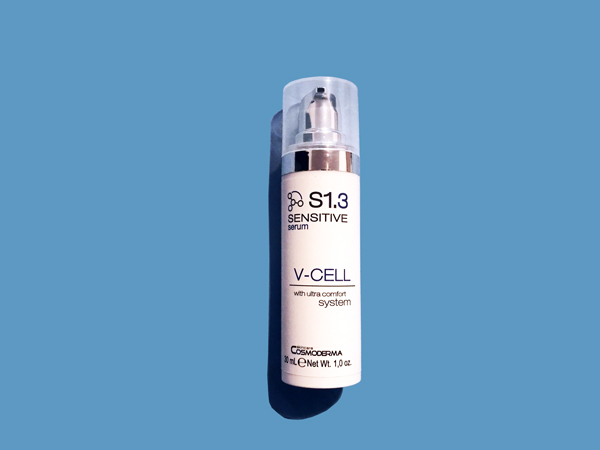 All V-CELL products contain plant cells from Swiss apple and other natural ingredients such as extracts of calendula, horse chestnut, red grapes, and Vitamin B.
V-CELL Sensitive – S1.1 Cleansing Foam with marigold extract – is a soothing cleansing foam with a toning effect. Marigold or Calendula is great for treating inflammation and have great healing properties. To use apply a little mousse on dry or wet skin and massage with gentle moves, then rinse with warm water. 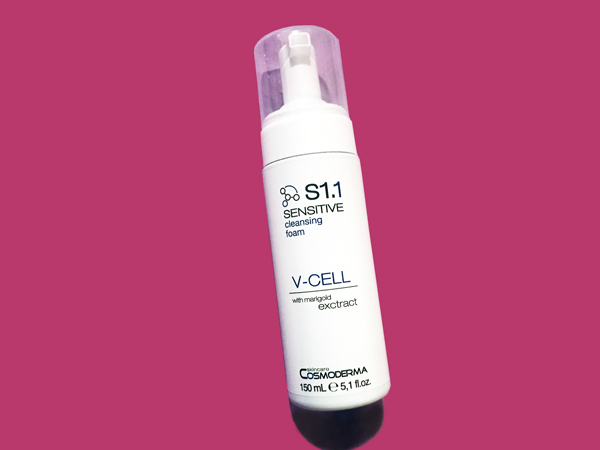 V-CELL Sensitive – S1.2 Soft Scrub with gentle renewer system – is a soft scrub with microgranules of cranberry that helps to eliminate dead skin cells and refine skin giving it a soft and smooth texture. To use apply a little product on your face and massage with wet hands avoiding around the eye area. 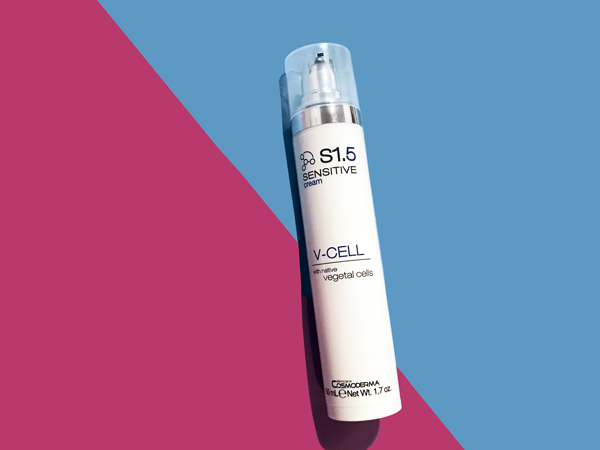 V-CELL Sensitive – S1.3 – Sensitive Serum with ultra comfort system – is a great product that restores skin elasticity bringing it a natural glow and healthy shine. 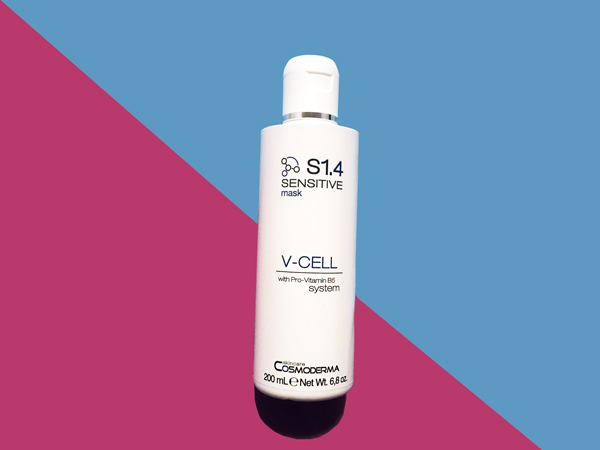 V-CELL Sensitive – S1.4 Sensitive Mask with Pro-Vitamin B5 System – is a gel mask rich with softening substances aimed to provide skin elasticity, smoothness, and softening effects. To use apply the product on your face and neck area leaving it for 10 minutes, then wash off with warm water. 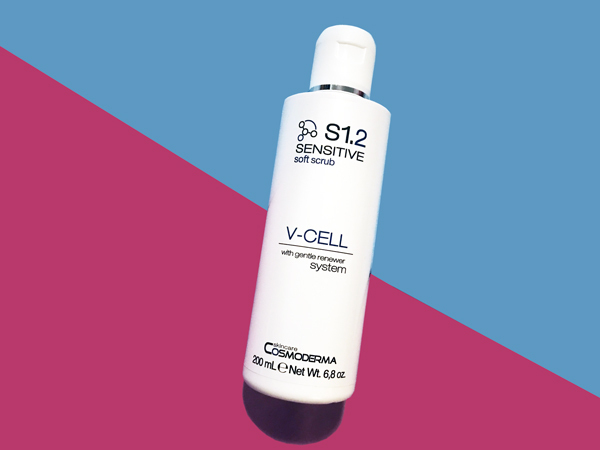 V-CELL Sensitive – S1.5 Sensitive Cream with native vegetal cells – is a light and creamy emulsion that can be used as a day or night cream that has great softening and moisturizing properties. Apply a little product to your skin and massage with gentle moves. Our expert reported that she was impressed with the quality of the products and they do work and feel differently than other similar products because of the plant cells present in them. “Cosmoderma products bring a fast result protecting and softening skin which is important in winter time in New York. 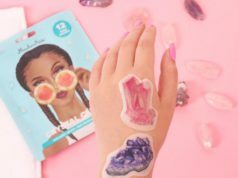 You can literally feel skin getting better right after applying the product.” The products are free from perfumes and harsh ingredients.